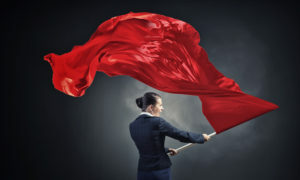 There’s a host of advice for HR and hiring managers on spotting red flags that may signal a problem or high maintenance employee, but little counsel is given on the reverse point of view. Because an interview is a two-way assessment, candidates should also be vigilant in their evaluation of the prospective employer and watchful of wording that could spell trouble down the line. Finance and Strategy:If the interviewer can’t speak to the organization’s strategy and how the role in question helps fulfill it, be wary. Be especially concerned if the company is cheap on the way in and/or lacks a rationale for their salary ranges. Both are signs of poor leadership and lackluster financials. Direct Manager: If you can’t get a read on the person’s management style, success criteria for role, or ability and willingness to manage and mentor staff, look out. You run the risk of getting anything from an absentee manager to a tyrant. Career Path:Beware of the dead end role. If the hiring manager can’t articulate what’s next after you demonstrate success over 18-36 months, there might not be anything. You don’t have to automatically discount a one and done opportunity, but it’s prudent to nail down the type of training you’ll receive and how you can expect to grow in value (for them and potentially, another organization) during your tenure. If you’re not sure about something, ask clarifying questions. This is one of the most important and financially meaningful conversations you’ll have. Make it count. Posted in Blog and tagged interview, job search, tim toterhi.